Page File El Reg's avid bookworm Mark Diston chews his way through some of the latest foreign language bestsellers recently translated into English and Lucy Orr discovers how South Korea became cool. 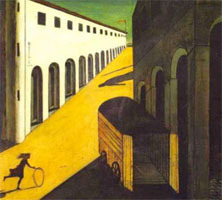 Haruki Murakami once described a character in one of his early novels as: “Like a child lost in a Giorgio De Chirico painting”. I can think of no better description for the atmosphere he creates in his novels. Whether Murakami's stories are moving through the rush hour in Tokyo or his protagonists are sitting on a beach in Hawaii, there is always an underlying sense of isolation and melancholy. Colorless Tsukuru Tazaki is no exception to this. The eponymous hero of Murakami’s novel is a 36-year-old engineer who has been adrift for almost half his life after being rejected by a close circle of high school friends for no apparent reason. On the verge of middle age and scarred by this traumatic event in his youth, he meets and falls in love with a woman, who convinces him to revisit his past and find out the reason he was ostracised to obtain some kind of closure. This is a novel about maturity, mortality and loss, and Murakami keeps to a minimum his trademark surrealistic interludes. In fact, the introduction seems to be a straightforward realistic narrative, lulling the reader into a false sense of security before hitting you between the eyes with a passage like that describing Tazaki’s mental suffering: “At twilight, birds with razor sharp beaks came to relentlessly scoop out his flesh” or recalling the memory of a dead friend’s piano playing: “As if those beautiful moments were steadily swimming back through a waterway, against the legitimate pressure of time”. There are musings on the nature of creativity: “Talent makes a huge spiritual leap possible ... that transcends the individual” and quoting Enlightenment scribe Voltaire: “Originality is nothing but judicious imitation”. 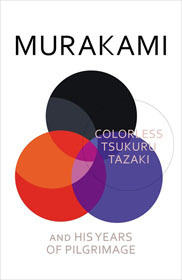 Murakami is a writer’s writer, and, on the dust jacket of Colorless, a reviewer from the Observer describes him as “The best novelist on the planet”. Dust jackets are usually about as credible as the British tabloid press, but if there are any better practitioners, I’ve yet to read them. 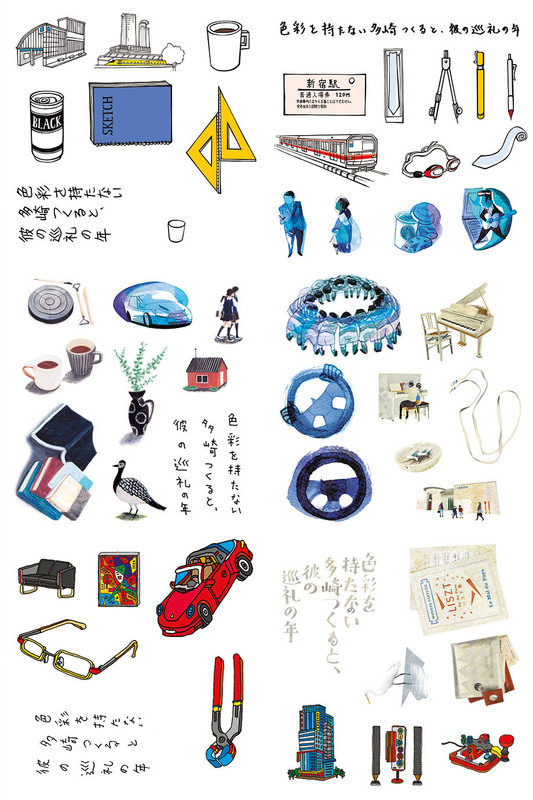 Moreover, Colorless has already proved itself as a bestseller in Japan and it is only now, with the publication of this translation, that we find out what we’ve been missing. Murakami’s books are essential fare for anyone who ever seriously tried to write poetry or prose. Since the recent demise of Garcia Marquez, he is the modern master. His uniqueness and almost universal appeal has few parallels in literature. I have to cross continents, disciplines and genres to the later French films of Krystof Kieslowski, such as The Double Life of Veronique and the Three Colours trilogy to find a suitable analogue to Murakami’s work. Both deal with the subjects of life, mystery and loss on a similar sublime, poetic plane. When it comes to name-dropping naff western cultural icons, Colorless Tsukuru Tazaki is also rather light compared to Murakami’s earlier works. There are a few mentioned on the periphery, but none take such a central role as, say, Johnny Mathis or pinball machines did in his previous novels. In fact the cultural references in this book are rather highbrow, addressing one of the main problems I have had reading Murakami - What music is suitable to listen to, while reading his books? I’ve tried a variety and none have been quite right. In Colorless, Tazaki keeps referring to a piano piece which is ideal, providing us with an excellent solution, which I can divulge to you without too much of a spoiler alert, so as you can prepare yourself in advance, instead of having to source it mid-novel. Lazar Berman playing Liszt’s Years Of Pilgrimage, particularly Le Mal du Pays, fits perfectly. There is also a mention of Thelonious Monk playing 'Round Midnight, but I found that didn’t work quite as well. So does Tsukuru Tazaki get the girl and find closure? This is literature, not pulp fiction, so the answer is maybe and partly. 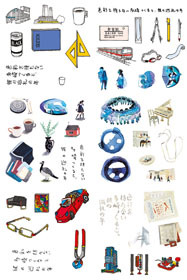 Murakami’s novels, like life, are never that clear cut. The denouement is probably best described by Tazaki’s prospective squeeze, who wisely says: “You can put a lid on memory, but you can’t hide history”. Colorless Tsukuru Tazaki is probably not Murakami’s best novel, but for a writer whose complete works are essential reading, that is no great criticism. However, it is one of his best stabs at detailing the human condition and an interesting progression from his earlier works in that one can sense the writer, now in his mid-sixties, coming to terms with his own mortality. Two months after the biz told El Reg, 'no, no, David Goulden is going nowhere'.